We’ve had lots of emails from boxers seeking advice on weight management. 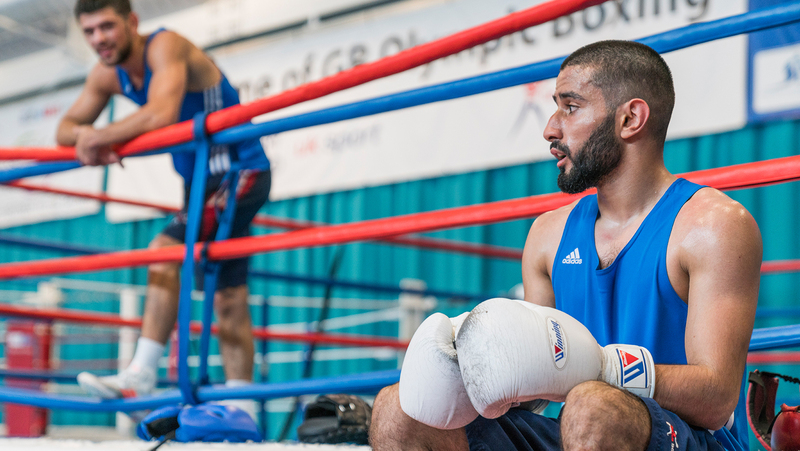 GB Boxing Performance Nutritionist Mark Ellison has provided some advice on safe and sensible weight management and we’ll be posting some of his responses over the next few days. Here’s the first…. Q: I am 17-years old and weigh 81kg. I am looking to perform well and wanted to ask some questions about diet and training practices of the Olympic boxers. 1) What does an 81kg Olympic boxer eat to keep their weight down? As we have said before, the key to good weight-making is not straying too far from your weight limit. Gone are the days where boxers can get away with blowing up between bouts in an attempt to crash the weight off before they box. Boxers are prepared like finely tuned machines, and those who crash the weight will be exposed when facing a technically skilled and well prepared athlete every time. At 81kg you should never really go over 84-85kg between bouts. Reducing carbohydrate intake away from training or focusing only on Low GI (see examples below) can be a good way to support weight management if you struggle to keep your weight down. For the GB boxers this is a little easier as we can just reduce the carbohydrate load in their evening meal. However, for club athletes training in the evenings it can be more difficult. Many club boxers make the mistake of finishing training late (7 or 8pm), then going home, cooking and then consuming a big, high calorie, carbohydrate rich (potatoes, rice, pasta, breads, cereals) meal late at night before bed which can lead to fat storage. The best action to take is to get some carbohydrates in (at least 50g) immediately after training (within 30 mins) along with 20g of good quality protein (whey is a good choice, or milk) to ensure you recover well from your session. This strategy promotes carbohydrate storage within your muscles where it will stay until you train again. Then, when you get home, your evening meal should focus on lean sources of protein (meat, poultry or fish) and vegetables (50/50). You won’t need more carbohydrates as you have already had them after training, this will reduce the risk of unwanted calories being stored as fat from taking big carbohydrate intake late at night before sleep. ***No one should undertake energy restriction or dehydration without the strict supervision of a registered nutritionist or medical practitioner.